In the time I have been around (which isn’t that long, depending on who you talk to) I have seen a few media formats come and go. Which includes the Vinyl record, cassette tapes and mini-disc’s… And with the increasing sale of music online I am sure the last days of the compact disc are not to far away. For the entry level of the DSX-S Series Sony has the DSX-S100. Which is a nice unit with the one internal USB, 2 RCA pre-outs and an AUX just in case you have a friend that doesn’t have an iPhone/pod but wants to play some of there music through the AUX plug on there phone/MP3 player. Sony’s middle of the range unit is the DSX-S200x. Unlike the DSX-S100 it has 3 RCA pre-outs which is handy for a car audio enthusiast! Unlike the DSX-S100 the DSX-S200x has a second USB instead of AUX. Another cool function is the Intelligent Time Alignment which directs all the music to the drivers seat so you can have the best listening experience while you are driving! At the higher end of the DSX-S Series is the DSX-S300BTX and I must say this unit is so nice to use! Not only does it have all the functions of the DSX-S200x it also has 3 RCA pre-outs so you can get the most out of your music! My favourite function of this unit is the Bluetooth tho. Not only does it allow you to synchronise up to 500 contacts off your phone for the hands free it streams music and for me that is a big selling point! 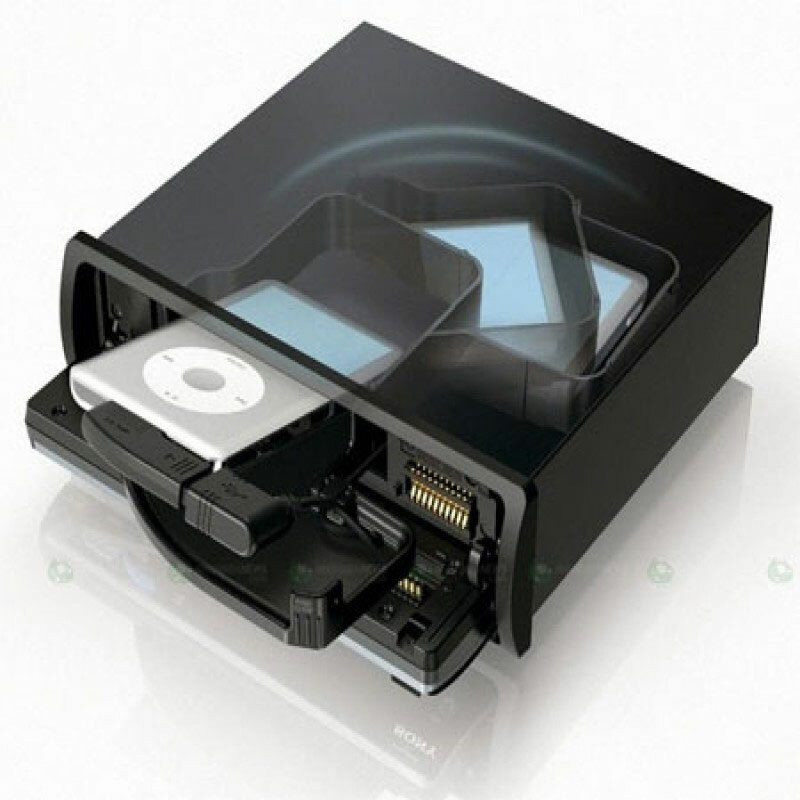 You have most likely been reading this wondering where is the CD player, well it doesn’t have one. The main advantage of this would be since it doesn’t have a CD Mech is you don’t have to worry about it breaking down from all the constant use or from all the bone-shattering bass your system produces! How much shaking/vibrating can these units take I hear you say? Over two years and counting! And I can say that with confidence since our MD had taken one of these units around the country for over two years with it taking abuse from the Monstrous Digital Designs Z12! The DSX-S Series in my opinion is far ahead of its time!